After half a year, iBuddy once again came to Moscow, Russia. This is our second time to come to Moscow to participate in this huge vape event, we carefully prepared a variety of surprises bring to the local vapors and the world of vapors. In June 16th, the Moscow VAPEXPO show attracted many people to participate. We are preparing a big brace up. This exhibition, in addition to bringing our iBuddy star products B-box and Nano C, there is a new products coming. IBuddy I1---China's first low temperature non burning electronic cigarette, this is the first time to meet with foreign vapor, oh, everyone in China is the first time to see it. I1 is the new iBuddy series products, Buddy Group Pin-style heating element with the invention patent. According to the research report, the Pin-style low temperature non burning technology, which can reduce the harm caused by carbonization of cigarettes to about 10%, so that smoking becomes healthier! 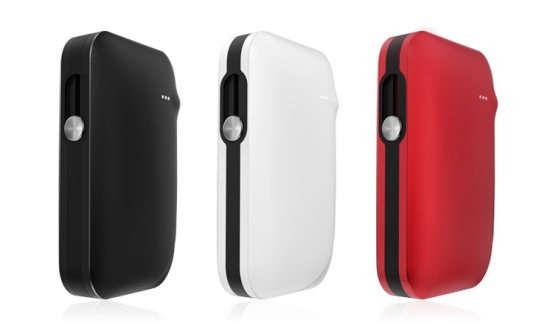 IBuddy I1 has red, black and white three colors, is expected to launch in July the international market! A lot of players on the scene are very curious about our I1, are eager to try. Everyone was very satisfied with the trial and asked our staff to order. IBuddy I1 matches heatsticks, such as marlboro. Of course, Buddy Group may design a kind of special cigarette to match this cigarette heating kit. The exhibition for a period of three days, Buddy partners are busy, but the heart is very satisfied and pleased. We like our products, willing to communicate with us, we harvest a lot of happiness and experience.